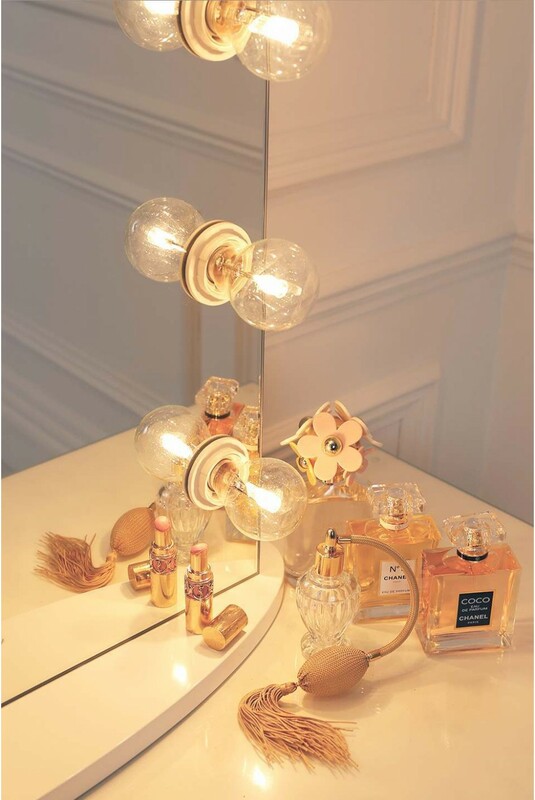 Who said glam was only in hollywood? 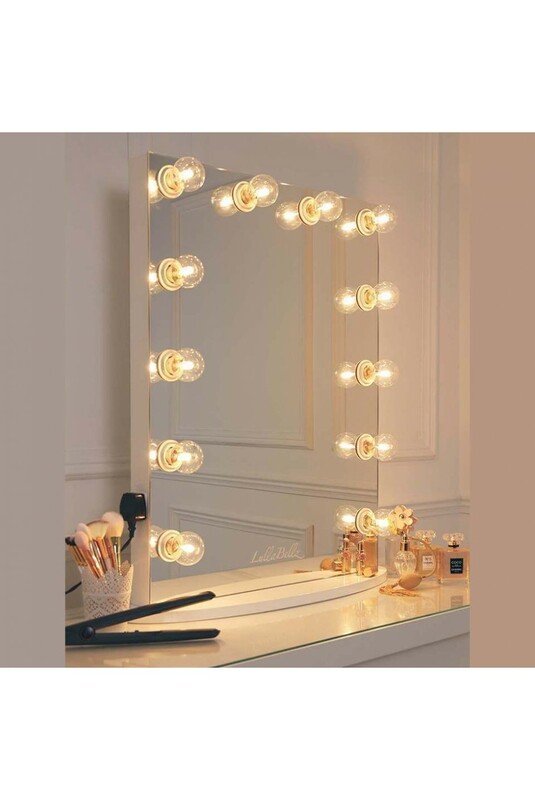 Light up your bedroom and look 10/10 in our hollywood make up mirror. Be the envy of all your girlfriends – pre prosecco will always be held at your house! 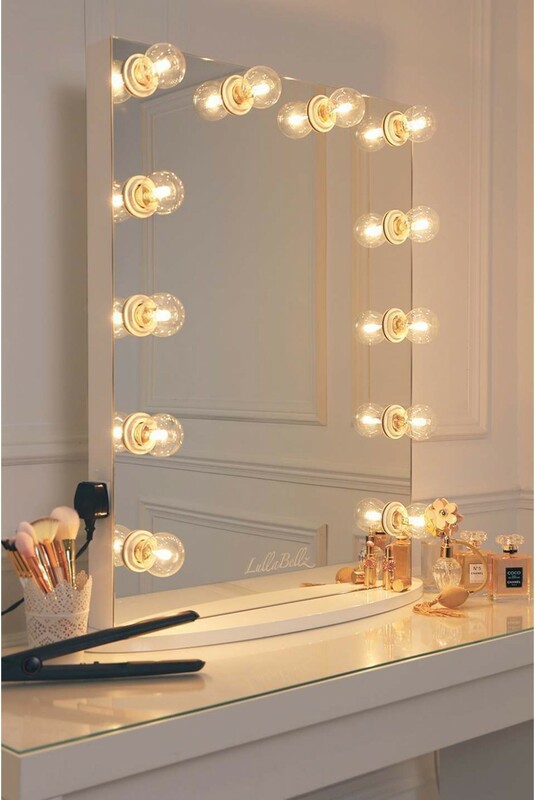 Framed with 12 clear light bulbs, this lighting is perfect for re-creating your fave make up tutorials! 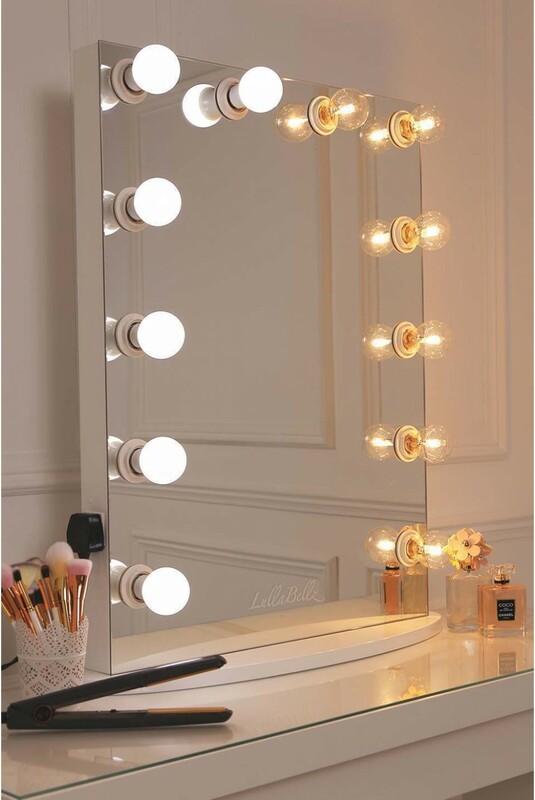 Please note: Ask your girls for permission before purchasing as we're predicting an extra hour spent in front of the mirror on your make up application! 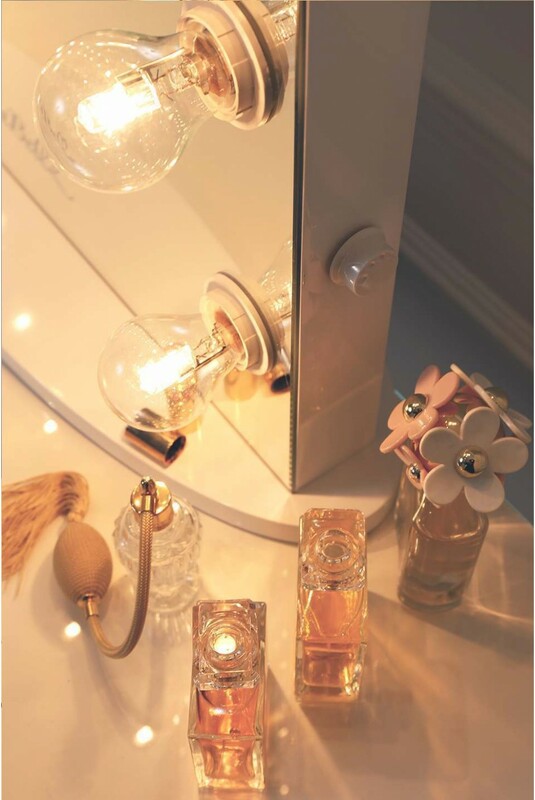 - the lighting is amazing and will make your snapchats and selfies look absolutely flawless! 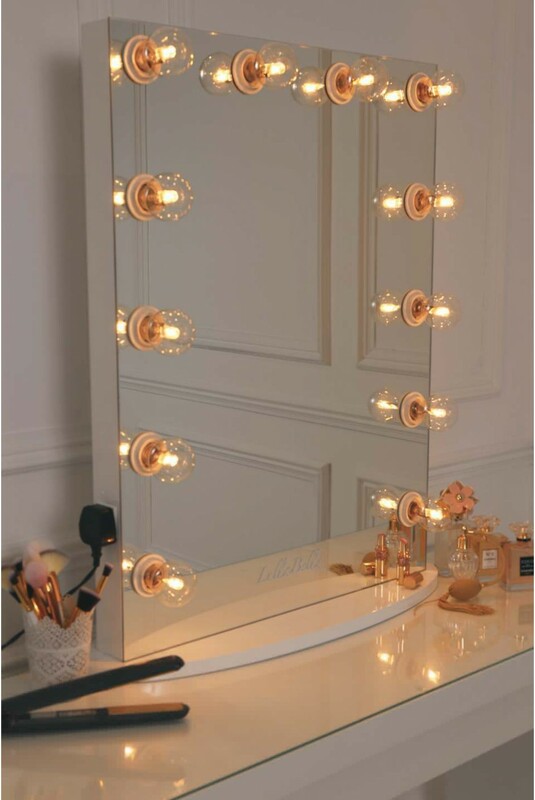 - Built in plug socket positioned on the side of the mirror – ESSENTIAL for your GHDS or charging your phone – We mean pleaseeeee NO one wants to be on 1% just as you are about to take a gorg glam selfie in your luxe LullaBellz Hollywood mirror!